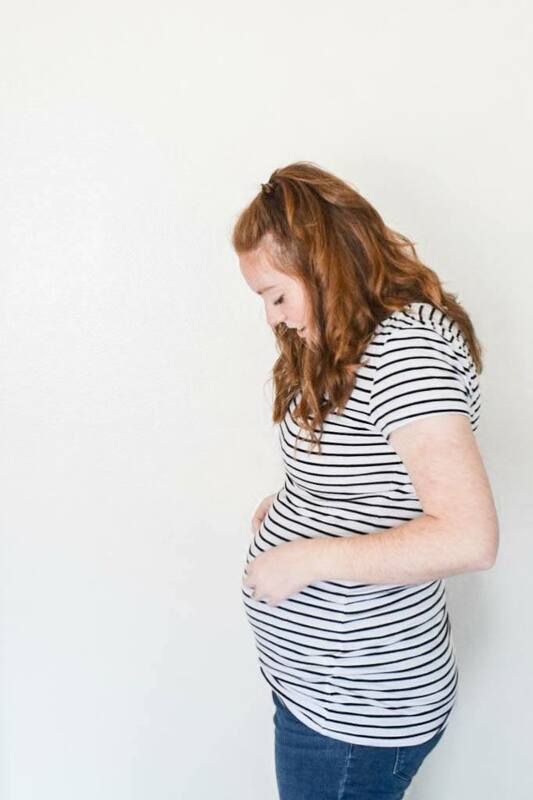 Pregnancy Update and All your Questions Answered! I don’t know if you guys can tell, but I am so stinkin’ excited for this little girl to come at the end of December! 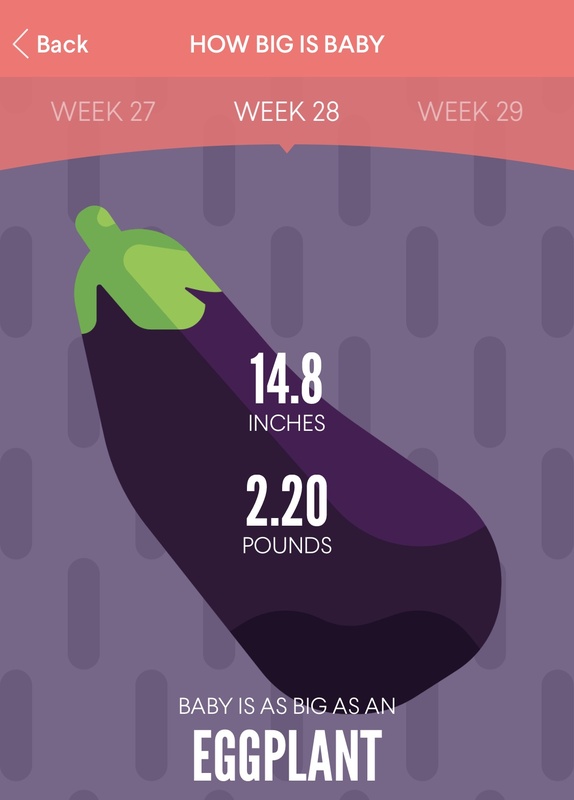 She is 28 weeks, and according to my apps: she is the size of an egg plant or an Echidna. We are 12 weeks away from her due date, and it seems like a good time to answer questions that I have been getting about my pregnancy! I guess a good place to start is always the beginning, right? How did you decide to have kids? We both want several kids (I want 4, Mason wants 5), and we want to be able to be active with each of them. We are really happy in our marriage and have been since the beginning. That’s not to say that certain parts of life aren’t hard, and we disagree on different points, but ultimately we really love each other and we feel comfortable bringing another person into the world to share our life. If there were any part of our marriage that we felt needed a ton of work, we would have put off having kids until we had worked out those kinks. Some people will tell you that if you and your spouse are having problems to consider having a kid because it will bring you closer together, but that’s just not something that Mason and I believe in. Babies are hard, kids are hard, and if you aren’t jiving, adding another stress point to your marriage is not going to fix it. 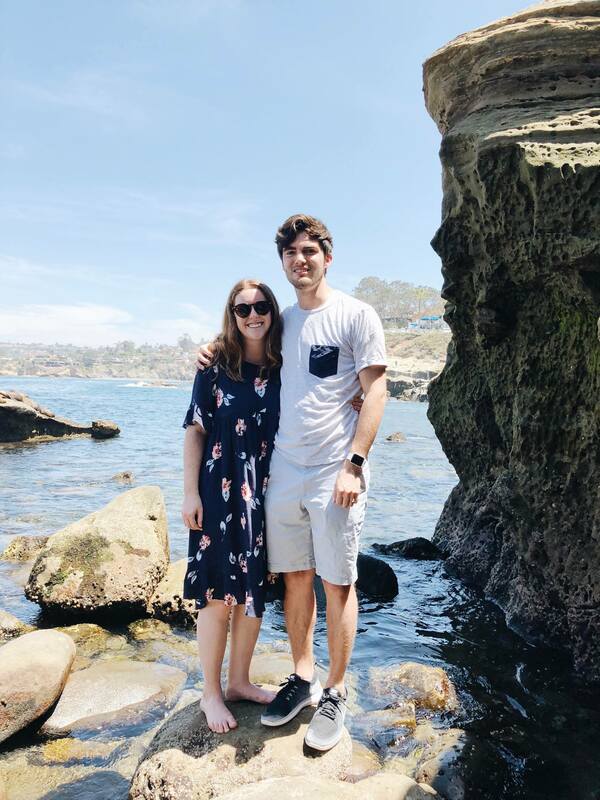 Mason and I both feel comfortable with adding that stress to our marriage because we’re both in a place where we are happy and comfortable, and we’ve worked through hard things together, so this new hard thing is something that we are excited to work on together. Big word: TOGETHER. Money. Babies are expensive, and they just get more expensive as they get bigger (insert laughing crying emoji). We finally felt like we had stable enough income that we can sustain bringing another human into our lives. This next year is going to be really hard because we are both in school, but we are really excited for this challenge and I think that mindset is really important. We know it will be hard, we know it will be 10,000% worth the challenge, and we are excited to take it on. Once you decided to have a kid, what did you do to prepare to deal with pregnancy and eventual motherhood? Mason and I talk. Not just about kids, but about life, what we want it to look like, what we’re loving about life right now, what’s bothering us. We just talk. We spend time with each other. We figured out insurance! We researched different companies, and went into detail in their maternity care policies. Ultimately we decided to keep me on the insurance that I already had because they had the best maternity benefits. I researched prenatal vitamins and started taking them. If you are planning on getting pregnant, you are supposed to take prenatals before you start trying, during your pregnancy, and while you are breastfeeding. It just ensures that you are getting the right nutrients. When I was in the middle of morning sickness, I just couldn’t get a pill down, so I had to start taking gummy vitamins. Fun fact about gummy vitamins: they can’t put iron in them, so you need to take an iron supplement with them. CONSULT WITH YOUR DOCTOR BEFORE YOU START A VITAMIN REGIMEN. I am not an expert, this is just has been working for me. Look into volunteering at a local elementary school. See if there are programs where you can get one on one time with the same kid for a couple weeks. This helps you learn how you build relationships with kids, how you interact with them, and typically these are more challenging situations, so you learn how to help the child through tough things in their life. The nature of my studies and working so closely with kids has catalyzed a lot of conversations between me and Mason about how we want to discipline our kids, and how we want to deal with behaviors, as well as what behaviors we are both okay with. Long story short, we’ve had a lot of conversations about parenthood leading up to the decision, as well as after. What to Expect When You’re Expecting is also a great resource for when your planning to have a kid! I’ve read snippets of it and it’s super helpful! There are also lots of free apps and blogs that you can read. Obviously, take everything that you read with a grain of salt. Everybody’s body is different and you will read that certain things will happen while you’re pregnant, and it’s not always true. Did you “feel” pregnant before you took the test? Totally! We were trying, so I was pretty sure I was pregnant, we just had to wait for the test to be able to pick up the hCG. I actually almost told Mason that I was pregnant before the test picked up on the pregnancy! How bad is morning sickness? I think the hardest part has been learning to live within these new limits that I wasn’t really expecting. If I walk around all day, I get super tired and my stomach feels really heavy. Or a few weeks ago I was rear ended (everyone is good, the baby is totally healthy, and the damage to the car wasn’t bad), but apparently you can get what is basically like whiplash in the ligaments around your uterus. It’s called round ligament pain, and I had it so bad that I was pretty much down for a week. Mason and I wanted to go hiking that week, and I only made it like 5 minutes in because the round ligament pain was acting up. I couldn’t go horseback riding, and I couldn’t go skydiving. All the limitations are ultimately worth it, but right now all these new limits are really hard. Honestly, my pregnancy has been really easy so far. I haven’t been that sick, I’ve been able to stay pretty active, and I’m not too stressed about the birthing process. Do you have a lot of random cravings? Are you using any apps? Are you going to give birth unmedicated? Heck no! I have a lot of respect for women who can, but if I can help it, I want an epidural. Maybe for a different pregnancy I will go natural. Everybody’s body is so different, and so are our pain tolerances, and I am doing what I feel is best for my body, and I would hope that other women do what is best for them. What are some natural remedies that you’ve used? Just things like a bath, ginger (you can get crystalized ginger at Sprouts. It’s super gross, but it helps), and staying active. Yes, we do! Aspen Nicole Slade. We met while we were working at Aspen Grove Family Camp, and my mom & sister always jokingly referred to our future children as "baby Aspen". We actually love the name, so it's stuck! What are you doing to get ready for her? I have been researching products that I want, and I've finally started buying some. Registering for stuff. I really like the Babylist , but it’s kinda hard for some people to use, so I also have a registry on Amazon and Target. The Babylist has become more of a checklist for me. I have a document of questions that I want to ask my doctor during my next appointment. It’s been helpful because I don’t have to try to remember all my random questions. Doctor’s appointments. I’ve made sure that I go to all of my appointments and listen to what the doctors tell me I need to do. Researching birthing options (I’m planning on an epidural), and back up options if things don’t go according to my plan. Researching breastfeeding tips. I really want to be able to breastfeed, but whether or not that happens depends on how it affects both of us. I’m planning on reading Get Your Sleep On by Christine Lawler. I’ve heard great things about it, and it sounds like she takes all the theories on sleep training. I’m excited to try it out!